OTTAWA - Most people head into Quebec's Gatineau Park in the summer to hike, go mountain biking or hit the water, but a handful of late have been popping in to interview for one of the most important jobs in the country. 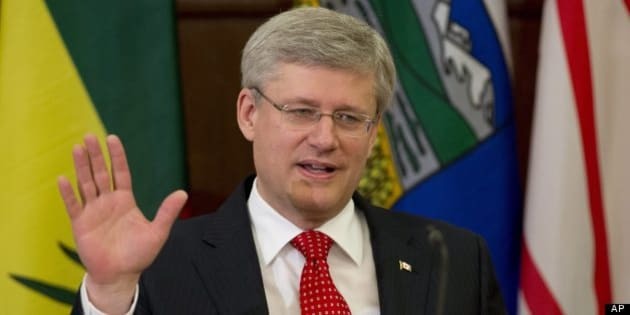 Prospective and current cabinet ministers took leafy Meech Lake Road last week to meet with Stephen Harper at the prime minister's country home at Harrington Lake, northeast of Ottawa, The Canadian Press has learned. Harper has been holding the meetings to discuss his plan for an upcoming cabinet shuffle, say Conservative sources who spoke on condition of anonymity because they weren't authorized to discuss the matter. The timing of the shuffle remains murky. While initially expected early this week, Ottawa insiders were abuzz on Monday night about a possible delay until the end of this week or even next week — partly because of the Lac Megantic tragedy. And in a testament to the discretion both demanded by and afforded the boss, few details have surfaced about what politicians were told when they met with Harper last week. Such discussions would likely include an analysis of how a minister feels they have done on the job, said Keith Beardsley, a former senior aide to Harper. That is likely compared to the mandate letter — essentially a to-do list — the minister was given when they were appointed. "That will come into part of his weighing have they done their job or not, whether or not they've met their mandate letters — and at the same time it'll be how he judges their performance, whether it's in question period or otherwise," Beardsley said. "I think by then he's probably made up his mind anyways, but it gives everyone a chance to have their one-on-one." What is known is there are now five vacancies to fill — on Monday, Public Safety Minister Vic Toews was the latest to announce he was leaving his post. Toews is also quitting as an MP. "I am leaving public life in order to focus on my family and to pursue opportunities in the private sector," Toews said in a statement Monday. "I leave with a store of many wonderful memories, lifelong friendships and a sense of having accomplished many of the things I set out to do when I first began my political journey." Other departures from cabinet include junior ministers Ted Menzies and Diane Ablonczy, Fisheries Minister Keith Ashfield, and Government Senate leader Marjory LeBreton. Because LeBreton's replacement will no longer be a member of cabinet, that means all five openings will come from the Commons. Other inferences can be drawn from the recent departures. With Menzies and Ablonczy on their way out, that leaves room for a new face or two from Calgary and outlying areas, such as Michelle Rempel or Blake Richards. Gender is another factor — with LeBreton and Ablonczy leaving, the proportion of women at the table will likely be addressed. Ashfield's resignation from cabinet leaves a vacancy for a minister from New Brunswick; possibilities include Robert Goguen, Mike Allen or John Williamson. In Manitoba, with Toews gone, Candice Bergen or James Bezan could be names in the hopper. There are always possibilities for surprises, however. Jaws dropped in 2006 when Harper's first cabinet included former Liberal minister David Emerson as minister of international trade. Some Conservatives will be watching to see if Harper brings in new caucus leadership in the Commons, such as the whip and the House leader, in view of recent backbench tensions. NDP ethics critic Charlie Angus said he was skeptical that the shuffle would help to put the Conservatives on a better footing with the public in the midst of the Senate spending scandal. "Until the prime minister comes clean with Canadians, I think nobody's going to take much interest in what's happening with his cabinet shuffle," Angus said.